Last month comedian Andy Borowitz lamented the irony that although we now live in an age of free content we sadly don’t live in an age of free food. Indeed, as seems to be the dominant model in a world of 99%ers and 1%ers, only the most commercially successful writers can really get by. Fortunately all is not lost. We at the House of SpeakEasy, of course, provide a monthly platform for writers at our Seriously Entertaining events at City Winery. But there are also other fantastic initiatives out there that are bringing writers and readers together and ensuring that writers are properly compensated for their work. Last year the novelist Jean Hanff Korelitz came to much the same conclusion as Andy Borowitz. And so she established BOOKTHEWRITER, offering readers a unique opportunity: the chance to invite your favourite writer to join your book group. Jean has recruited a fabulous list of nearly a hundred New York-based authors and poets to the cause, including Zoë Heller (Notes On A Scandal), Rick Moody (The Ice Storm) and Julie Salamon (The Devil’s Candy), all of whom are available (for a $750 fee) to appear at book groups in Manhattan and Brooklyn. If you’ll pardon the pun, it’s a novel idea — and one that’s set to take off in 2014, as a recent New York Times feature suggests. I spoke to Jean this week about the work of BOOKTHEWRITER, adapting novels into movies and the perils of having Jane Austen to tea. Charles Arrowsmith: At House of SpeakEasy, an essential part of our mission is to ensure that writers are properly compensated for their work. This sounds very much like what you’re doing with BOOKTHEWRITER. Better minds than mine can speak to the pressure being put on copyright right now, and the Huffington Post effect of not paying for content. My contribution to the debate is this. What BOOKTHEWRITER offers is a unique and extraordinary experience: having the writer there in your home, to join the conversation about the book your group is discussing, which happens to be a book he or she wrote. Unique and extraordinary experiences often come with a price tag. Would we expect Daniel Boulud to come over and whip something up for us because we’re big fans of his restaurants? Would we expect Renée Fleming to come sing to our opera group just because we adore her music? New York is full of readers who understand this, and who will vastly enjoy and benefit from BOOKTHEWRITER, and we are enjoying working with them. 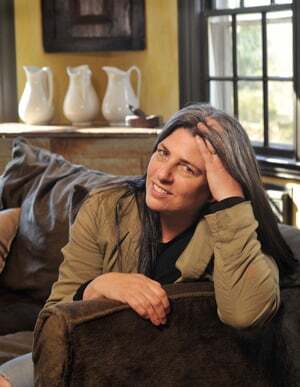 CA: You hosted a “Meet the Author” book group for more than a decade in Princeton. What are the ingredients of a great author visit? JHK: The most important thing is to read the book. The second most important thing is to talk about the book — that is, to avoid rapidly segueing into “This made me think about that time I…” Obviously there are books that make us reflect deeply (and with great impact) on our own lives, and if the conversation goes there, that’s fine. But having the author present is such a rare opportunity: ask about how the book came into being, about what the author learned along the way. Were there surprises during the writing process? Getting the story behind the story is the most exciting part. And remember: the book might not necessarily be one of your favourites, but come to the book group with an open mind. Your mind might not be changed, but you’ll have learned something. CA: An adaptation of your novel Admission was released in cinemas last year, starring Tina Fey and Paul Rudd. How did it feel to see someone else’s interpretation of your work taking on a life of its own? 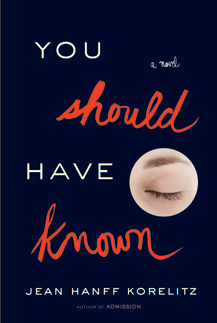 JHK: In my new novel, You Should Have Known (which will be published by Grand Central Publishing in March), I included many of the driving forces of the film — Karen Croner (screenwriter), Kerry Kohansky Roberts (producer), Paul Weitz (director) and Tina Fey (actor) — in the acknowledgments, thanking them “for reminding me that creative work is a conversation, even when you do it alone.” That’s pretty much what I learned from the experience of watching the novel transform into a film. The film that results from your novel is truly (as an old friend who went through the experience once told me) “a variation on a theme”. In the case of Admission-the-film, the story differs in many respects from Admission-the-novel, but in its broadest sense both are about a woman becoming a mother — reluctantly, uncomfortably, surprisingly. I really love the film, and am very proud of it, but I wouldn’t call it a strict retelling of my book by any means. CA: If you had a free run of literary history, who would you be adding to the BOOKTHEWRITER roster, and what would you want to discuss with them?